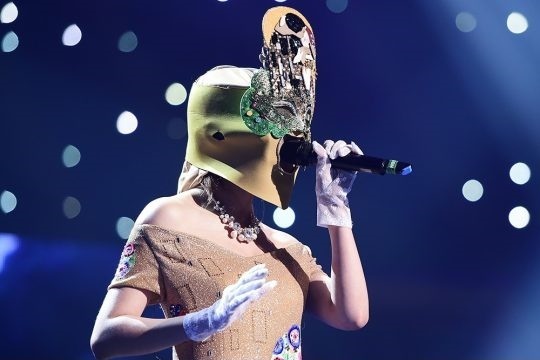 Before Fox launched “The Masked Singer” in the US this year, many South Korean viewers enjoyed watching “King of Mask Singer,” a singing competition show where masked celebrities belted out songs in front of a judge panel until their identity was discovered. The show, which first aired here in 2015, went on to become one of the biggest exports from South Korean TV, spawning shows with similar formats in many countries, including the US where the show has already been renewed for a second season. But the unique show might not have been as successful minus one man: Hwang Jae-keun, the 44-year-old fashion designer who created all the masks for the original show. 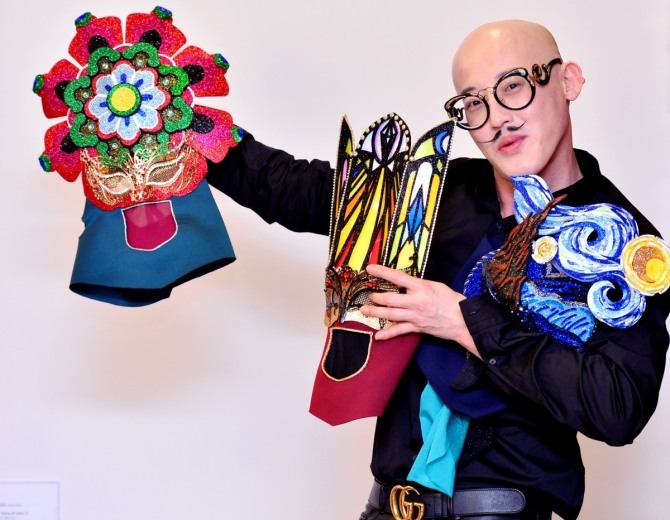 So how did the larger-than-life winner of the all-stars season of “Project Runway Korea” come to take on the role as the country’s most famous mask designer? Well, he almost didn’t. When the show’s production team tried to contact him for over a week, he ignored them, as he thought it was another call from people he owned money to. At that time, he said, he was in deep debt after his business went bankrupt. “When I got a text from the show’s production team that they wanted me to make the masks but they couldn’t reach me on the phone, I called them back immediately and told them I would do it and do it well,” Hwang recalled of the crucial point of his career with excitement as he sat down at The Korea Herald’s office, wearing all black with a loud belt and gold buckle. The ceramics graduate who also studied fashion design at the University of Antwerp in Belgium didn’t expect to end up designing masks for a TV show. “But I’ve always like them,” he said. When it comes to making the masks, he first draws inspiration from things like objects or paintings, then sketches it out and puts together images to better explain his ideas to the production team. “We need about eight masks per episode, so I come up with about 20 ideas and then the production team chooses, let’s say No. 1, 5, 9, 10 out of the 20.” Once the designs are chosen, contestants wear them during rehearsals and he makes adjustments to better fit, as the original designs can sometimes ruin makeup or make it hard for guests to breathe. The show’s novel concept went on to take on a life of its own in many countries, with French, German and Dutch versions on their way. And Hwang, who has watched the remakes, said they are “quite different” from the original. 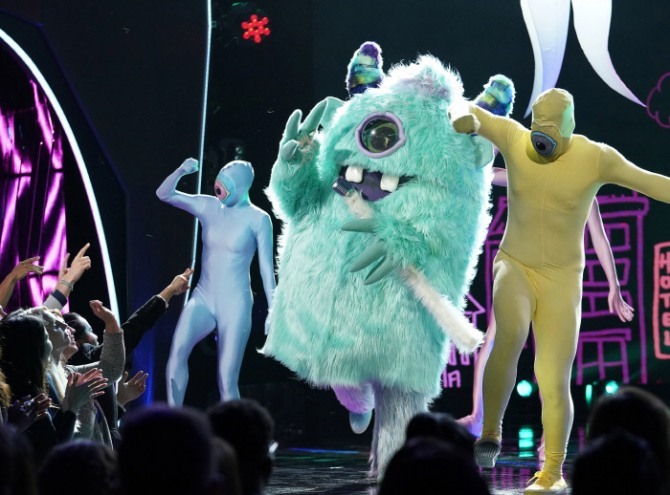 While the two are visually focused and more like “musicals,” he said “King of Mask Singer” is more of a “musical documentary” that emphasizes singing itself. Nevertheless, the comparisons have stressed him out. “There were online comments that I’ve become lazy after making money and that my masks look like they are made by elementary schoolchildren compared to the ones produced for the US version,” Hwang calmly stated. Buoyed by his confidence, he said he takes comfort in the fact that he is the designer of the original series and that people will remember him most. “Coco Chanel came up with the Chanel suit and the Chanel jacket. Their designs are not considered special now, but who came up with them first -- who made them from nothing -- still matters. And that would be me (when it comes to the masks),” Hwang said with a grin. Though Hwang and the production are relatively on the same page now when it comes to mask designs, there was friction at the beginning. The production team initially wanted a more comical design suitable for one-time use, while Hwang pushed for more flamboyant and quirky designs. He was told the show was not a “fashion show,” but he later came to terms with the criticism and realized the show was about entertainment. “’The King of Mask Singer’ is watched by all age groups including children and grandparents, so masks that aren’t easy to understand are not ideal,” the designer said. Taking on board the feedback, he began to draw inspiration from regular objects such as vases, chairs, windows and even tresses, to put on a friendlier front. It’s safe to say the change of course worked in his favor, as the show has been a consistent ratings success since it first aired in 2015. As the interview came to an end and before he had to bring the masks back to his office, he had a piece of advice and some home truths for hopeful designers.